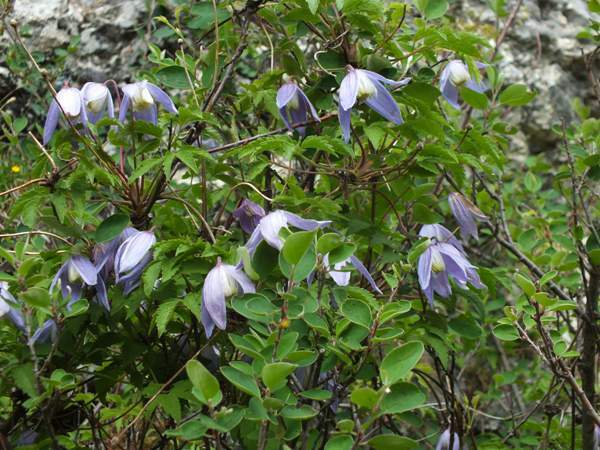 This lovely creeping wildlflower is the only alpine clematis species to be found in Europe, the others being mainly confined to Asia. Clematis alpina is found throughout Central Europe, and there is a subspecies with white flowers that is found in northern Norway, Finland and also in Poland. 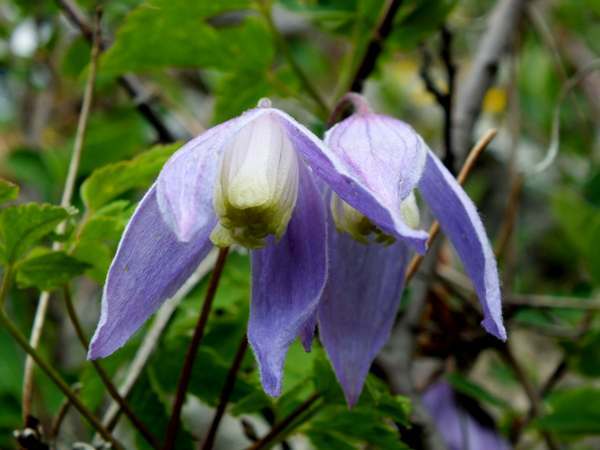 Alpine Clematis grows in rocky mountain woodlands and on the edges of pastures where it clambers over other plants, often creating magnificent cascades of flowers. In its native habitats this wildflower blooms in June and July. The specimens shown on this page were photographed in Italy in early June.